One has to hope that a wine called The Ball Buster 2008 from Tait Wines would somehow live up to that name. Fortunately, this wine does. Its color is impressively dark, an inky purple that is almost black. It has an intense ripe berry and tobacco aroma, but even that doesn’t prepare you for the huge blueberry, plum, cocoa, and pepper blast to the palate. The fruit predominates. The finish is a little oaky with soft tannins. This wine reminds me of a big California Zinfandel – lots of complex fruit and relatively high alcohol content. If you like big, bold, fruity reds, The Ball Buster 2008 from Tait Wines is a great choice and a superb value. 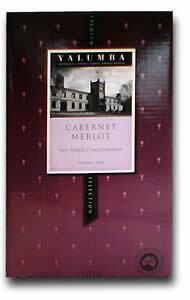 This entry was posted in Red Wines, Shiraz - Syrah and tagged barossa valley, blend, red table wine, tait wines on February 7, 2011 by Roger.